I didn’t have a set plan of attack today; I knew I could probably get a free doughnut somewhere if I was lucky. 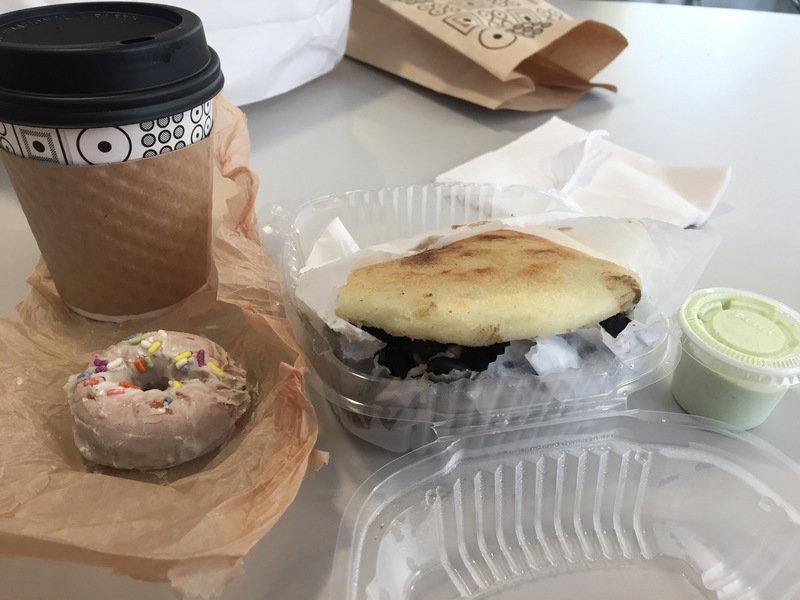 Speaking of bites, I discovered the Doughnuttery by sheer accident; a friend suggested I should go to Dunkin’ Donuts for Doughnut Day. I went to Columbus Circle on 8th Ave., but Dunkin’ Donuts was no more. NOOOOO!!!!! Deflated, I headed to Turnstyles, the 38+ stores in the 59th St. subway under Columbus Circle. 2beans coffee was unavailable, the machine was being cleaned. On the way out, I saw Doughnuttery. “Hot, fresh, uniquely squared mini doughnuts.” 23 different flavors of sugar, and some dipping sauces. Mini-doughnuts (at least 6 in each batch, with 1-2 flavors) in each order, freshly made in front of you. I ordered 6 (smallest batch), and ordered the Coco Loco (chocolate cereal and cocoa) and the Mulled Apple Cider (apple, orange zest, fall spices). 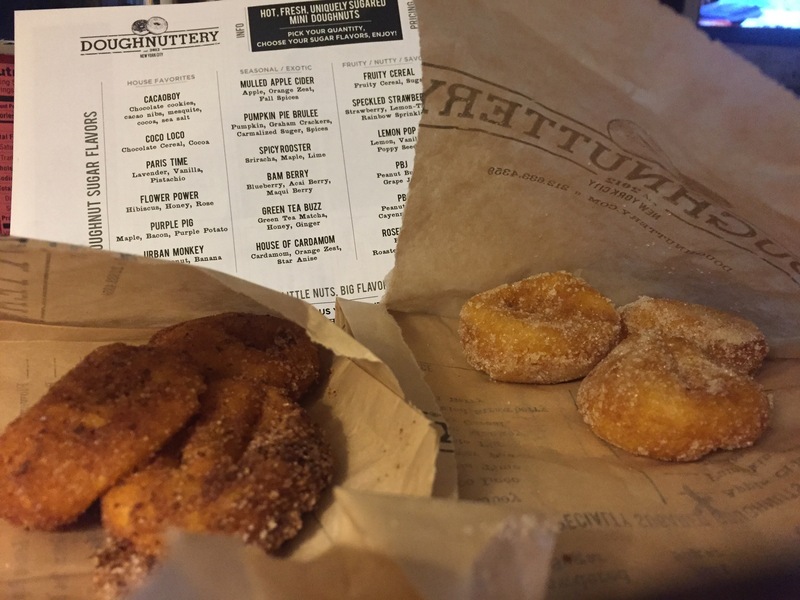 The flavored sugars were very subtle; they didn’t overpower the tender fried dough. My hubby liked them. “I never heard of this place…” Now he will!